Modern and contemporary are two of the most commonly confused designs. Both are known for having clean lines, sleek styles, and a focus on function. Contemporary design is dynamic, meaning it is always changing. Today, contemporary means clutter-free, neutral, clean and subtle. An open floor plan, large windows with plenty of natural light and natural elements such as wood and stone are all characteristics of a contemporary design. A true modern design (think “Mad Men”) aesthetic is comprised of geometric shapes and a mix of natural materials such as wood and leather and man-made materials like plastic. Light wood floors, area rugs, white walls and sparse furnishings are typical of a modern environment. This is most likely why the two styles get confused, because today, many elements of the modern home design aesthetic are popular. Twenty years from now, contemporary may mean something else entirely. But while there are many similarities, there are some core distinctions between these two designs. Before you decide which style is right for you, read on to decode the differences in these two popular design motifs and get to the bottom of what makes each of them unique. Contemporary: Cream, white, tan, beige and black are contemporary colors. Monochromatic and tone-on-tone rooms are popular. Contemporary designs offer a seamless transition from inside to out, emphasizing large windows and natural light. Modern: Modern design grounds itself in simplicity: white walls, natural materials, bare floors and polished metal. White on white, light neutrals, and black and white are all popular modern color schemes. Contemporary: Contemporary furniture might have modern influences but with the addition of natural wood. This design aesthetic combines form and function for the best of both worlds – a bench made from Beachwood slats, perhaps, might be created in a modern style, but having been designed in the last decade, it folds into the contemporary design. Contemporary furniture typically has square edges and is neutral in tone. Simple, clean lines rule in this space. Modern: Modern furniture is incredibly functional. Tubular steel is very popular in this design, and most times will be made from one piece. Chair frames made from tubular steel with pigskin leather seats are popular due to their versatility and strength. Furniture from the modern era is simplistic in design. Raised feet, open furniture with elemental lines and planes is common in a modern space. Contemporary: Hard surfaces work well in contemporary designs. Bamboo, blond woods such as maple or ash, stone and ceramic tile are all popular. Area rugs in a geometric design or textured weave can soften the look. And for homeowners who want carpeting, a solid color, low pile choice is a must. On the walls, you’ll find black and white photography, large, edgy artwork and frameless canvases. 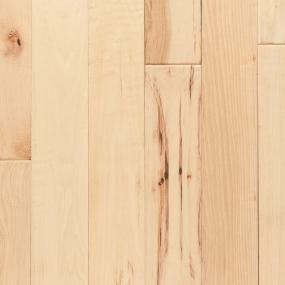 Modern: Light wood floors are common in a modern home, and artwork is abstract. Think clean lines and bold pops of color: a splashy Pollock or a colorful Morris Louis. Frames should be simple for a look that’s true to the era. Contemporary: Contemporary kitchens feature the latest styles: stainless steel or concrete look with blended raw material countertops, monochromatic finishes, and high gloss surfaces such as chrome and lacquer. A bright glass or metallic backsplash and unique materials are common in a contemporary kitchen, as well as elements from other styles. A contemporary kitchen might blend in elements from a traditional or eclectic style; vibrant pops of color and an art piece that becomes the focal point of the room. 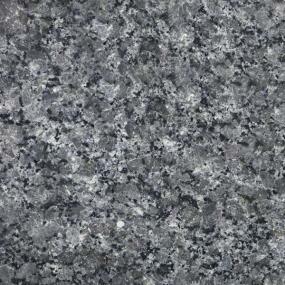 Modern: In a modern kitchen, granite or quartz countertops are a good choice. And keep decorative accents to a minimum – you won’t find any wainscoting or crown molding here. Calm neutrals rule, and dark hardware offers a nice contrast against light walls. Classic lighting and straight lines are also common in modern kitchens. Contemporary: Anything that is “in” right now is considered contemporary. Reclaimed wood floors, industrial lighting and refurbished furniture all fall into this category. In contemporary interiors, less is more. Go basic, bare and bold with unique furniture that speaks to your own design aesthetic, but remember that contemporary designs place an emphasis on comfort. Modern: Modern design is all about function. Accessories should be kept to a bare minimum. The modern look maximizes space, avoids excess, and relies on simplicity. Whether your design tastes lean towards the strict functionality of modern design, or the more current contemporary aesthetic, you can find the perfect flooring, cabinets, fixtures and more in the online product catalog. Review inspiration for contemporary or modern design ideas, and add images you like to your myProSource Project Center. When you’re ready to move forward, contact your local ProSource Showroom and let their team help you create the perfect room to suit your favorite design preference.